Yesterday, after a relentless sturm und drang of public opinion and rage over the ING New York City Marathon, the Mayor’s Office officially cancelled the road race at the last minute, saying that it drew too much attention and precious resources away from the Hurricane Sandy disaster relief efforts. But whatever! 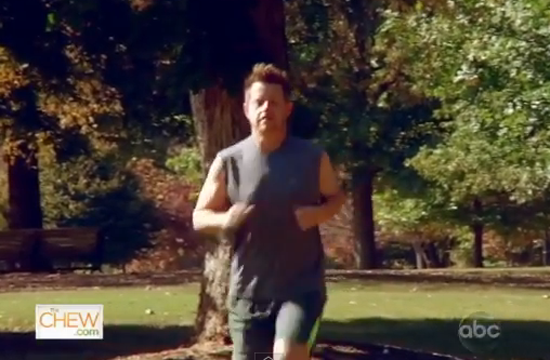 Richard Blais is still running! He don’t need no fancy support crew or electronic timing system. Screw you, hurricane! To be fair, he initially entered the race on behalf of The Alliance For A Healthier Generation, and promised his Twitter followers this morning that for every dollar donated to his charity that weekend, he’d match with a donation to the American Red Cross. Also, there is no darn way that he would embarrass himself on national television with chocolate milk facials and not end up running. Visit this site to donate to his cause, and visit this site to donate to the Red Cross hurricane relief efforts.